The actions of conservation-restoration of the works of art are structured around various specialities: preventive conservation, scientific laboratory, documentation and intervention of restoration in the specialities of panel painting and polychrome sculpture, painting on canvas, transferred mural painting, furniture, artwork on paper and photography, stone material, metal arts of fire. 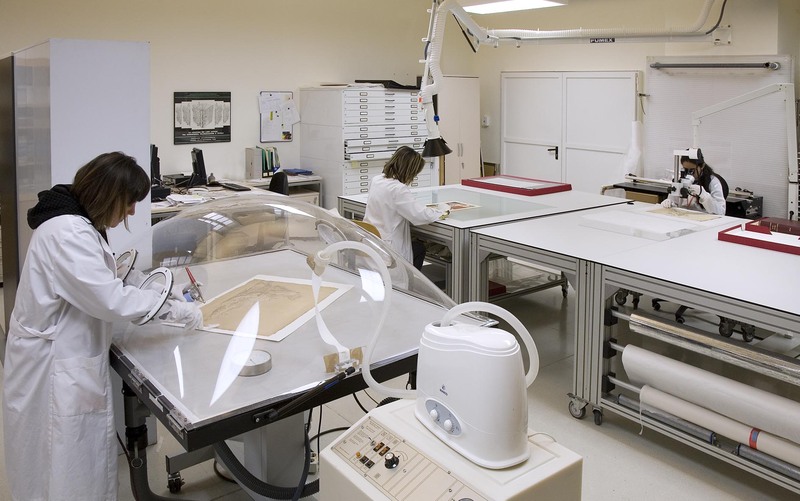 Preservation is one of the objectives of the Museu Nacional and, therefore, it is necessary to control the environmental parameters and to obtain a stable setting for the works, and to supervise the conditions of the expositive systems, and the handling and the storage of the works of art. The alterations that are produced in the work of art can require protection against insects, disinfection, consolidation, stabilisation of the support and polychrome, fixing, cleaning and reintegration of the constituent materials. The projects of restoration, the study of the processes and the causes of degradation require an in-depth knowledge of the work of art and its history. 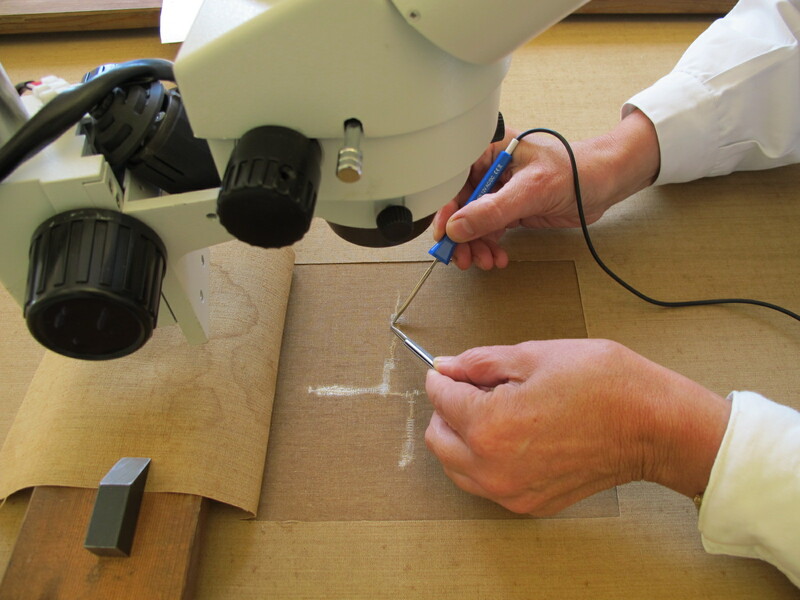 The examination, the technical study and the scientific analysis of the materials often require an interdisciplinary work of research. 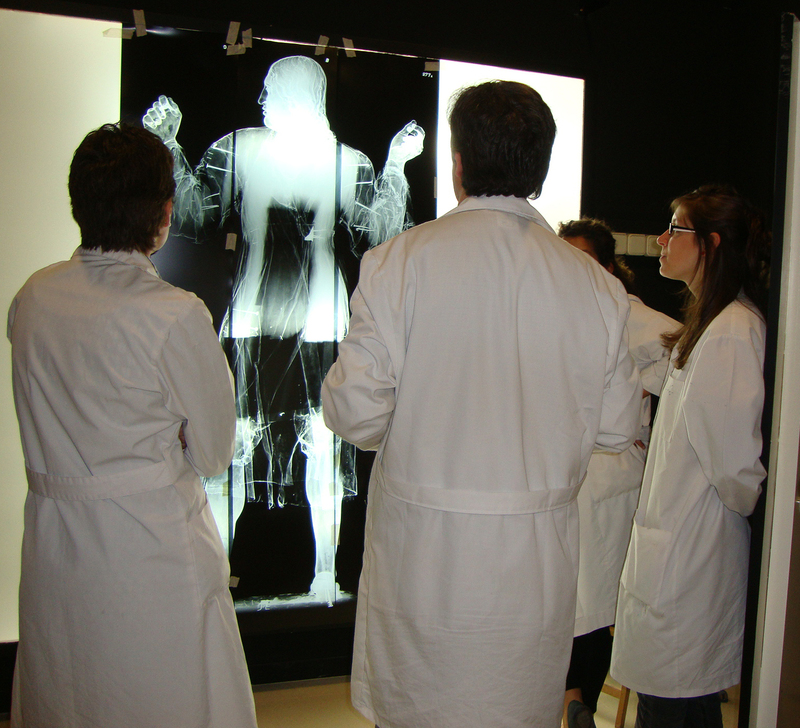 If you would like more information about restoration-conservation and preventive conservation or to consult about the services of radiography of the use of the anoxia chamber, you can contact us, from Monday to Friday, from 9am to 2pm, by prior request to [email protected] or at 93 622 03 60. How do artists apply gold sheets or achieve the gilded effect? 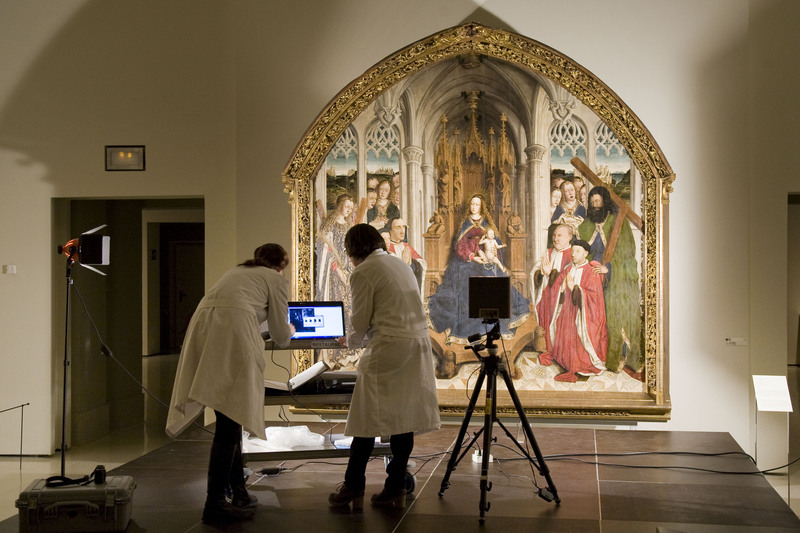 In Exploring gold, museum conservators explain the different techniques and instruments used in medieval mural paintings and altarpieces. There were signs of a possible superposition of polychrome. 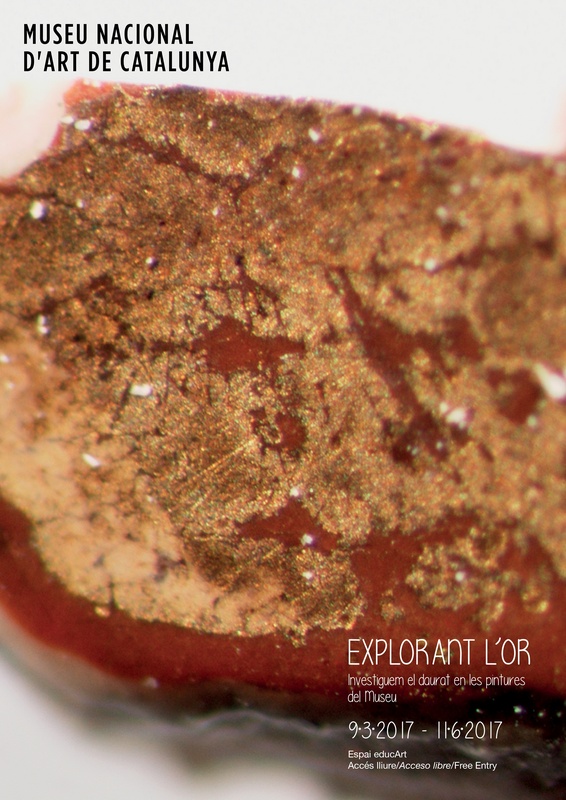 Radiographs, reflectography, photographs with ultraviolet and ground light and a stratigraphic study have allowed the materia and technical aspects to be characterised, and to check the existence of an underlying polychrome. In few generations the sculpture was painted again and again to renew its aspect. It is the first integral restoration-intervention of a transferred a mural painting with the study of new materials to produce the neutrals, which have required a prior analysis with photographs with diffuse, ground and ultraviolet light, radiographic examinations, infrared reflectography and stratigraphic analysis. With the research and restoration of this painting, carried out with the sponsorship of BNP Paribas and its Foundation, experts from the museum have identified it as one of the few productions that are conserved from the painter Juan Bautista Maíno. He was the person in Spain who introduced the figurative culture of Caravaggio and of the circle of painters active in Rome at the beginning of the 17th century. The incompatibility between the lead sheets and the wood cour of the sculpture has altered The Violinist, who has initited a degradation process. The non-destructive techniques has been unabled to learn the technique of execution of Pablo Gargallo and the alterations have been found inside the sculpture. All allow you to sepecify what should be on the basis of the intervention in the sculpture to stop its degradation. Study of a print of 1627-1628 that shows the Siege of Breda in 1624-1625. The study has allowed as to know that the technique used is the etching and has corroborated that the print is prior to the 18th century.